Armenia's judiciary has seen absolutely no changes since the ''Velvet Revolution'' last spring, Prime Minister Nikol Pashinyan said in Strasbourg, highlighting the urgnecy of justice reforms as a top concern for the country's government. The prime minister went on to give the European legislators firm assurances that his government has uprooted the practice of exercising control over the judiciary. ''We have totally and fundamentally given up that practice. But I do not have 100% confidence, for example, that other influences on the judiciary do not still keep going on, and I do not have any assurances that there isn’t absolutely any corruuption,'' he said, ctiing a recent corruption-related arrest of a judge as a fresh precedent . 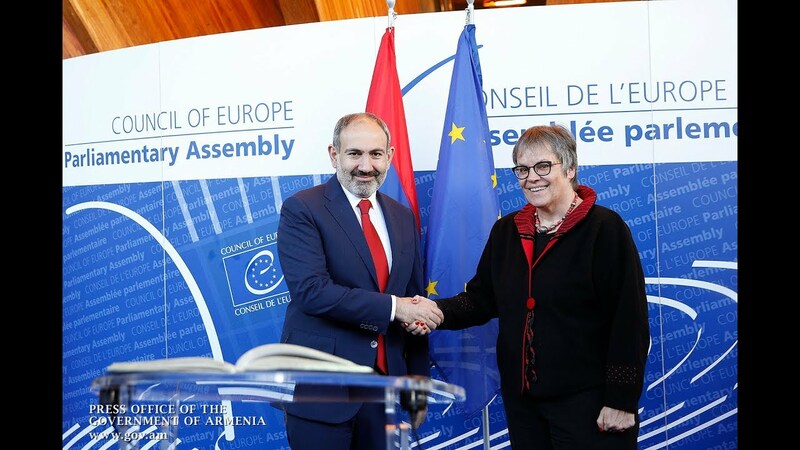 Pashinyan left for Strasbourg on a working visit earlier today accompanied by a government delegation to attend the PACE Spring Session. Also on Thursday, the prime minister met with Council of Europe Secretary General Thorbjørn Jagland for private talks and a joint news conference, as well as with Liliane Maury, the PACE president.